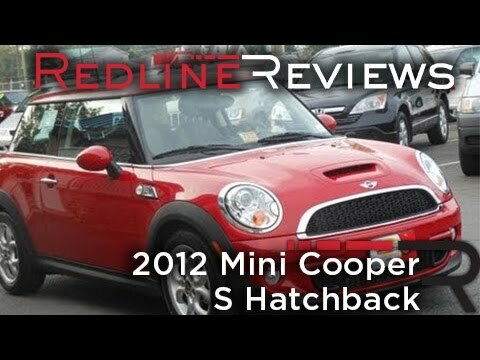 If you enjoy efficiency, expressive design and responsive handling, today's 2012 Mini Cooper is tailor-made for you. The handling seems almost go-kart quick, helped, in no small part, by a rigid structure. And, if you can tolerate a few stylistic eccentricities within its interior, you'll forge the kind of emotional bond with your Mini that hasn't been seen in the U.S. since the heyday of the Beetle. In its own idiosyncratic way, today's Mini is more than fun; it's functionally recreational. Not conducive to many car seats. Do your research and buy the right seat. Good handling. 6 speed manual gives me great control. Last mini was in an accident and my family remained safe due to good design. Seats are adjustable and allow a lot of room despite compact appearance. Excellent gas mileage. Most expensive issues are xenon headlights (opt for regular to save a lot of $). Two flaws with this car are the mirror covers fall off when you open them (on the visor) and that the roof is more narrow than the width of the car a the base of the windows on the door, so when you roll down windows in the rain, the rain comes straight in the door. That is the most and only annoying problem I can find. Super tiny, super cute mini cooper! I have only had my cooper aka "white truffle" for about four months now. It is a 2012, purchased in 2018. I was very lucky, the previous owner kept the car in great condition. The seats are immaculate, the carpets and dash still look new and all of the know labeling is still in tact. This is great when you are talking about a 5+ year old car; sometimes the little cosmetic items suffer a bit. The acceleration is not so great, but it is to be expected - the car is tiny! Once it picks up speed, however, this little thing gets up. Overall, I love this car. I am a total hippie and it suits me perfectly. Mini cooper - a fantastic ride! Love the vehicle. Excellent power and pick up. A true go-cart on wheels. Driving is super fun and the car is small so get up and go is quick and easy. The color selected is no longer manufactured so that is extra special. Maintenance is very minimal and really easy. They always reserve a loaner car so we are not without a vehicle ever!